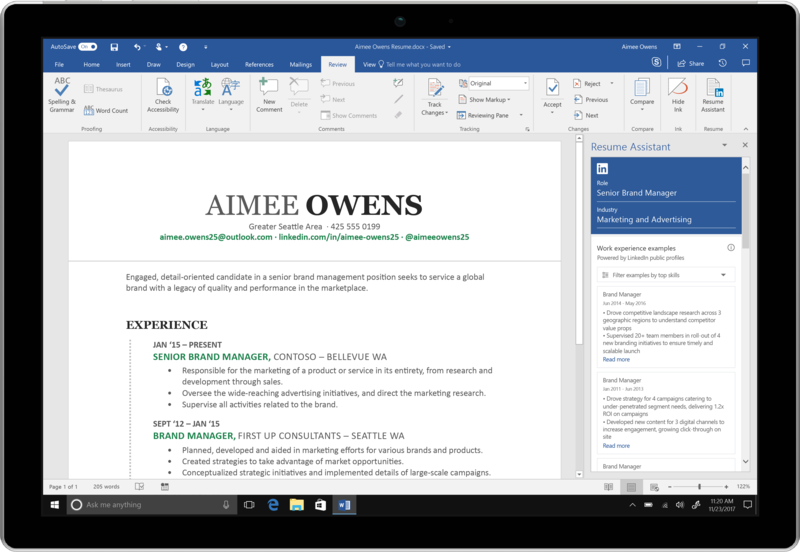 That's why today we're bringing the power of LinkedIn into Microsoft Word with the launch of Resume Assistant. With this integration, you'll get the inspiration and resources to craft a compelling resume directly within Microsoft Word, and you'll see relevant job opportunities on LinkedIn that are personalized for you. Creating a resume that accurately represents who you are, what you’ve done and in a way that is tailored to the role you're aspiring to, is one of the biggest challenges for professionals. In a recent survey of U.S. professionals, nearly 70% stated the most challenging part of writing their resume is not knowing whether they are portraying themselves in the most effective way, and more than 50% reported that customizing their resume for a specific role was a roadblock to success. After you select your desired role and industry, Resume Assistant will pull LinkedIn insights from millions of member profiles so you can see diverse examples of how professionals in that role describe their work. Highlighting the right skills can help you get discovered by recruiters, but how do you choose which are the right ones to include on your resume? Within Resume Assistant, you can see the skills other successful professionals in your desired role and industry have, so you can add them if applicable. It’s also never been easier to improve yourself as a candidate. 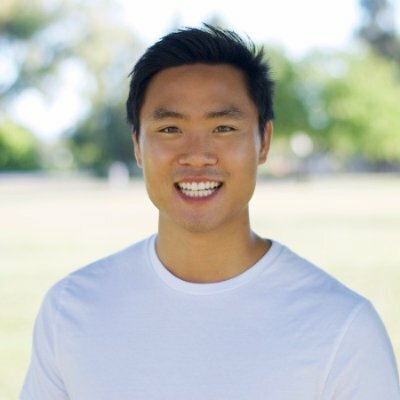 If you see a job posting or suggested skill in Resume Assistant you can take a course on LinkedIn Learning to strengthen your chances of getting hired. Within Resume Assistant you'll also see relevant job listings from LinkedIn's 11 million+ active job openings to jump start your search. Along with job openings, you'll see details of what the job requires, helping you to tailor your resume to a specific role. If you see something you like, you can go directly to the job opening on LinkedIn where you can learn more about the opportunity and apply. Within Resume Assistant you'll also see the option to turn on Open Candidates. This feature on LinkedIn quietly signals to recruiters that you’re open to new opportunities, and makes you twice as likely to hear from recruiters. Also within Resume Assistant you can explore helpful content and tips from LinkedIn on how to write a resume that shines, and even connect with a professional Resume Writer via LinkedIn's freelance hiring marketplace, ProFinder. 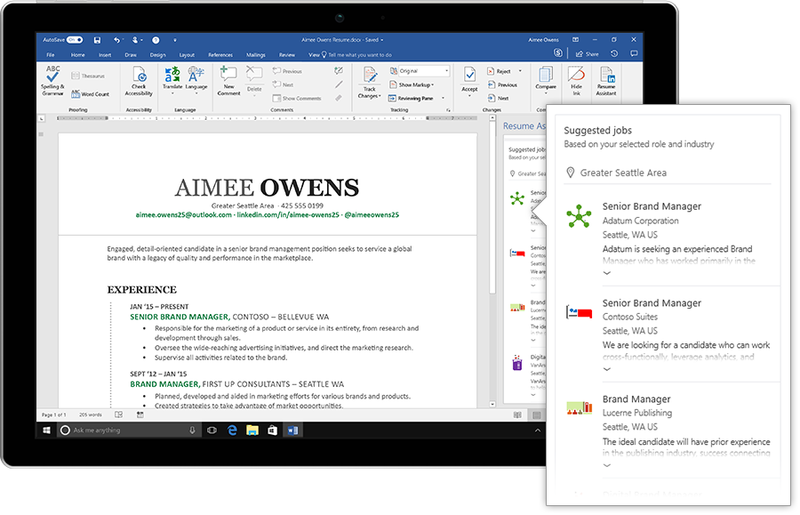 Resume Assistant will be rolling out to Microsoft Insiders starting this week on Windows and will be generally available to Office 365 subscribers in the coming months. We’re always looking for ways to make you more productive and successful so you can continue to advance your career, and land the job you love.